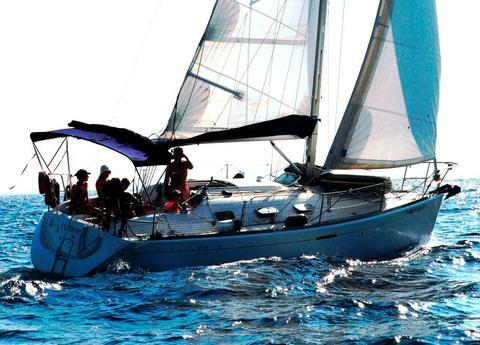 BENETEAU 31 dispatched for navigation zone 2 (60 miles). 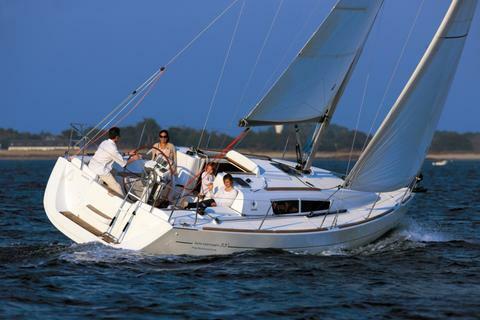 Ideal for groups on day trips with a maximum of 8 passengers. For overnight we recommend not exceeding 4 passengers despite having a convertible room to sleep 2 more people. 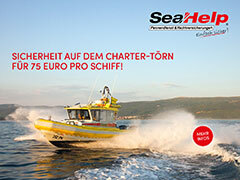 The price of the charter is with departure from the base port. 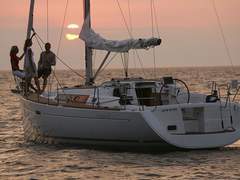 Sailboat rental price includes: standard equipment, dinghy, bimini, autopilot, tridata, wind equipment, battery charger, complete crockery and kitchenware, moorings in base port, all risk insurance the boat and personal accident insurance, taxes. 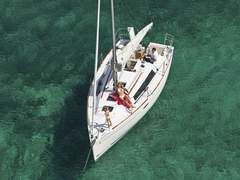 The price does not include: fuel, moorings outside the base port, and final cleaning. The deposit is accepted in cash or transfer. All extras must be paid in cash upon boarding. 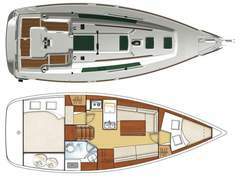 Boarding: Saturdays between 12:00 and 17:00 hours. To advance the shipment consult. Disembarkation: Friday before 7:00 p.m. Possibility of staying on board until Saturday and disembarking before 8:00 am. 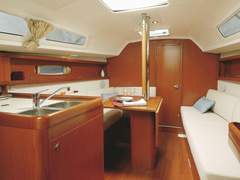 BIMINI SLIDING - SPEEDOMETER- GPS- OVEN -FRIDGE -AUTOPILOT- RADIO-PROBE -VHF-PLOTTER COMPAS, MAJOR SAIL WITH LAZY BAG. The last Oceanis 31 also plays the card of the opening and evolution. As spacious as agile and safe, is the faithful friend of the serene and comfortable cruises. With a spirit always contemporary. 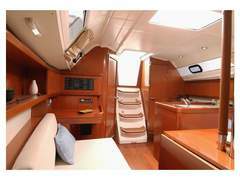 Beneteau 33.7 in Costa Brava It combines the best of naval architecture and comfort. 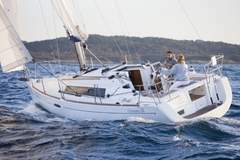 You will love to sail with it .With or without skipper.